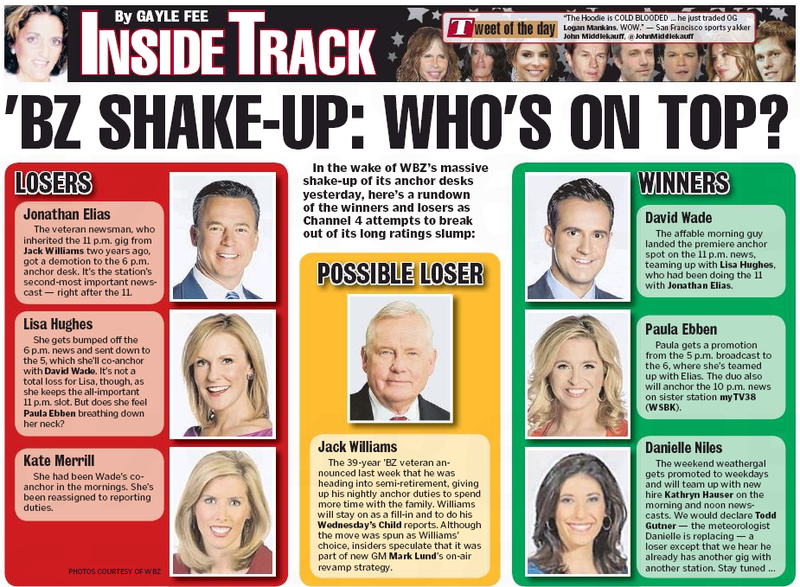 Big shakeup in the news department at WBZ yesterday, as Boston Herald Inside Track gal Gayle Fee reported. Crosstown at the Boston Globe, though, it was all quiet on the ‘BZ front (at least in the paper delivered to the hardreading staff). 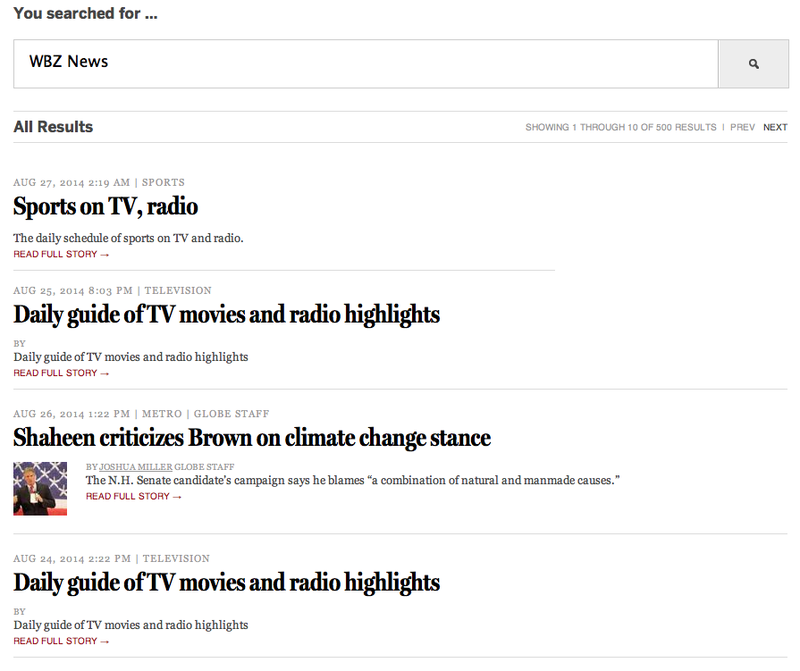 Nothing on BostonGlobe.com either as of 2:45 pm. Take your victory lap, Gayle. This entry was posted on Wednesday, August 27th, 2014 at 2:51 pm and is filed under Uncategorized. You can follow any responses to this entry through the RSS 2.0 feed. You can leave a response, or trackback from your own site.